My interview today is with Sarah Sundin, who is the author of nine historical novels, including When Tides Turn. Her novel Through Waters Deep was a finalist for the 2016 Carol Award, won the INSPY Award, and was named to Booklist’s “101 Best Romance Novels of the Last 10 Years.” A mother of three, Sarah lives in California, works on-call as a hospital pharmacist, and teaches Sunday school. She also enjoys speaking to church, community, and writers’ groups. What made you decide to write your first novel? What drew you to writing about WWII? My very first novel stemmed from a dream. I woke up and knew it was a complete story, and I had to write it. This was a very strange thing for this pharmacist! That first novel will never be published, but it served its purpose. Soon I had an idea for a story that wouldn’t work in a contemporary setting. I immediately decided on World War II. The era has always fascinated me. My grandparents were all storytellers, and my father was always watching WWII movies when I was little. I think it seeped into my soul. My first published novel, A Distant Melody, took about three years from concept to complete first draft. My children were little, I was only writing part-time, and I had to do a ton of background research. I lost count of the rewrites—probably a dozen. Since I had five years of rejection letters, I had plenty of time to edit. I never hired a professional editor, but I belonged to a wonderful writers’ group that gave excellent feedback. I read lots of books on writing and attended conferences to learn the craft. Now my critique partners are online, and we exchange chapters by email. As for encouragement, so many people helped along the way! The acknowledgments section for A Distant Melody is quite long. Research is multifaceted—books, websites, documents, oral histories, research trips, touring historic ships and planes, and consulting experts. I usually start with a basic internet search on my topic and then I assemble a list of books and websites to investigate. This list grows and changes as I continue my research. Was there ever an "aha" moment you had when doing research that surprised you? I’ve had so many “aha” moments! My most recent one…I’m currently writing a series about three estranged brothers who fight on D-day from the sea, in the air, and on the ground. I’d assigned my pilot brother to the 357th Fighter Group and my soldier brother to the 2nd Ranger Battalion. I found out both units sailed from New York to Britain on the Queen Elizabeth on the same date! And the brothers are estranged! And they most definitely don’t want to see each other! I couldn’t have planned this. How did you go about finding a publisher? Was it through conferences, seminars, or slush piles? I found my publisher through Mount Hermon Christian Writers Conference. Conferences offer the advantage of allowing you to get to know editors and agents, especially when you attend for several years, and they give you the chance to pitch or submit. In 2008, I submitted to my editor at Revell while at Mount Hermon. I was offered my first contract a few months later. Plotting. Getting all the scenes and plot elements in order, while juggling history and character development, feels like a wrestling match to me. But at a certain point, the outline falls into place and all is well. We have all experienced rejection. Give me an example of how you learned to write past one of yours. I’ve had plenty. Five years of rejection letters. I learned to give myself limited pouting time, then back to work. Whenever I felt dejected, I took it to God. He always seemed to send me some confirmation through friends or circumstances that yes, he did want me to keep writing. That carried me through—plus my love for the stories. 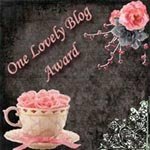 What has surprised you the most in writing/publishing? Coming from a scientific health-care background, I’ve found much about the publishing industry surprising. In pharmacy, if you work hard and do good work, you succeed. And you have to do something really bad to lose your job. But in publishing, if you work hard and do good work, you may or may not succeed. And there’s absolutely no such thing as “job security”! I’ve had to learn to relax and give up the illusion of control. To ignore the rules and turn off my internal editor during the rough draft phase and allow myself to dream. Then during editing, to turn that editor back on and be ruthlessly analytical. It’s related to my answer to the last question. During the rough draft phase, don’t stop to edit. Do find a way to capture your editing ideas, but don’t actually do the rewriting. Since I print off my chapters, I scribble notes on the hard copy—everything from punctuation to changed wording to “don’t forget her dog” or “have it raining during the scene.” Some writers make the notes in “track changes” straight in the Word document. Then when I finish the rough draft, I go through my notes and make any changes during the edit. Are there any other points about writing that you would like to add? You’ll hear lots of techniques and lots of advice—including mine—but you have to find what works best for you. A strategy can unleash one writer’s creativity—and kill another’s creativity. Try new techniques. Keep those that help you work better and ditch the rest. What is the next book that will be coming out? Can you give me a short synopsis? 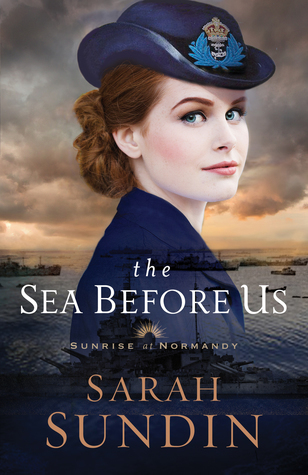 The Sea Before Us, the first book in the Sunrise at Normandy series, will be released in February 2018. Here are the details… In 1944, American naval officer Lt. Wyatt Paxton arrives in London to prepare for the Allied invasion of France and is determined to redeem himself with the brothers he has betrayed. Dorothy Fairfax serves as a “Wren” in the Women’s Royal Naval Service, striving for the love of her bereaved father and of the man she’s always adored, Lawrence Eaton. 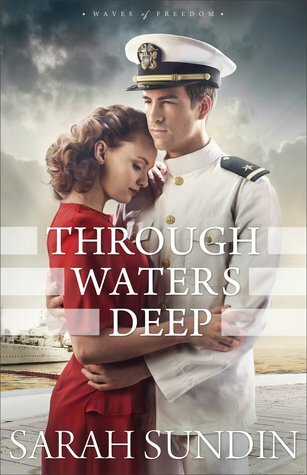 When Wyatt and Dorothy work together on Allied plans for D-day, he hopes Dorothy will return his growing love. 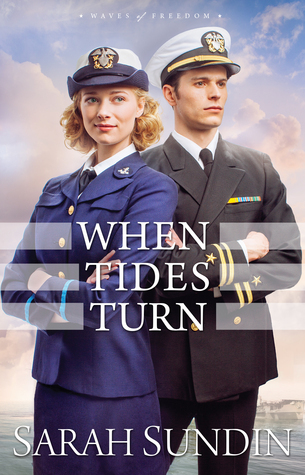 But will family secrets, misplaced affections—and the seas off Normandy—separate them forever? Sounds like a great story! If you’d like to learn more about Sarah’s writing, here are some links for more details. An encouraging post, Sarah. 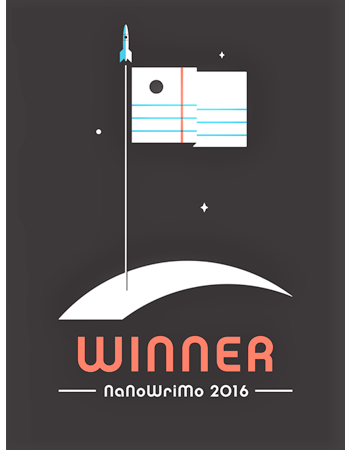 Received my third rejection this week, however, belief in this story refuses to let me (or the story) die. Onward it is for my WWII novel. Thank you for your encouraging words! Don't get discouraged. You'll find the right publisher for your book. Sarah! I never knew you had five years of rejection letters for A Distant Melody! It must have made the story stronger with all the editing/rewriting you did in between because I still remember how blown away I was when I read it. 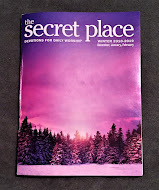 It really made me take a second look at Christian fiction, because it was/is so amazing.